1st the more direct approach but a bit different from how you envisioned it. 1. Create the dropzones (Dropzone sample 1 phase 1). Place the label and make sure that show label is checked. Depending on how you would complicated you want your activity will be either you set the drop zone to contain only one element or just one. For aesthetic purposes you can also set it to auto align to the drop zone. Repeat this steps until you have created all your dropzones. 2. Add the draggables using the images of the hazards (Draggable sample 1). Make sure that select ALL the dropzones, this determines which dropzone you can drop the draggable into. Repeat this step until all draggables have been created. 3. 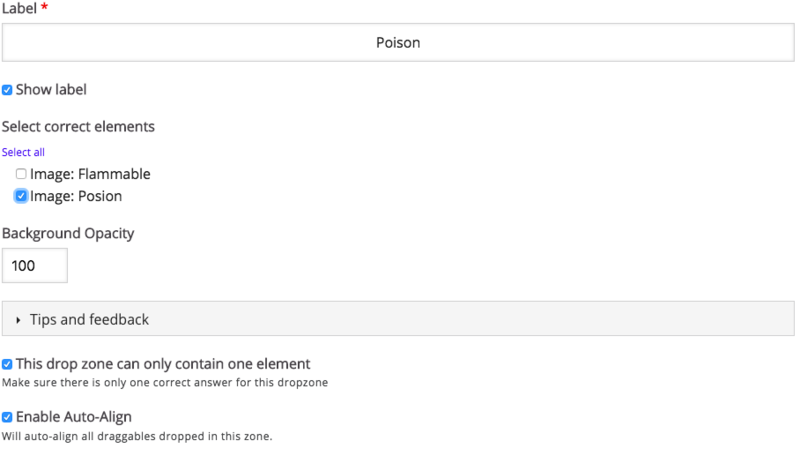 Reopen each dropzone and set which draggable is the correct answer (Dropzone sample 1 phase 2). You can check and download the sample content here. 2nd is more complicated but is more inline with your specifications. 1. 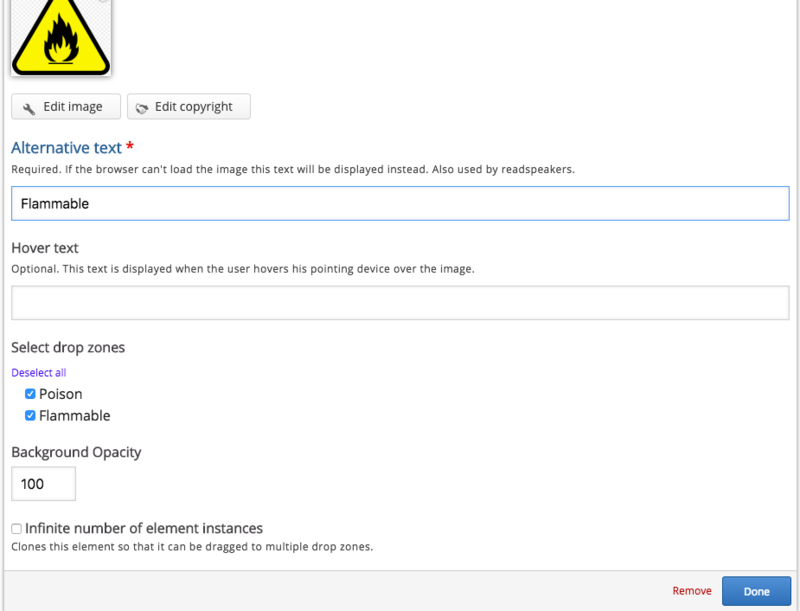 Upload the images as draggables (Images for dropzone). You will notice that there are no choices for dropzones since we are not really using these images as draggables. 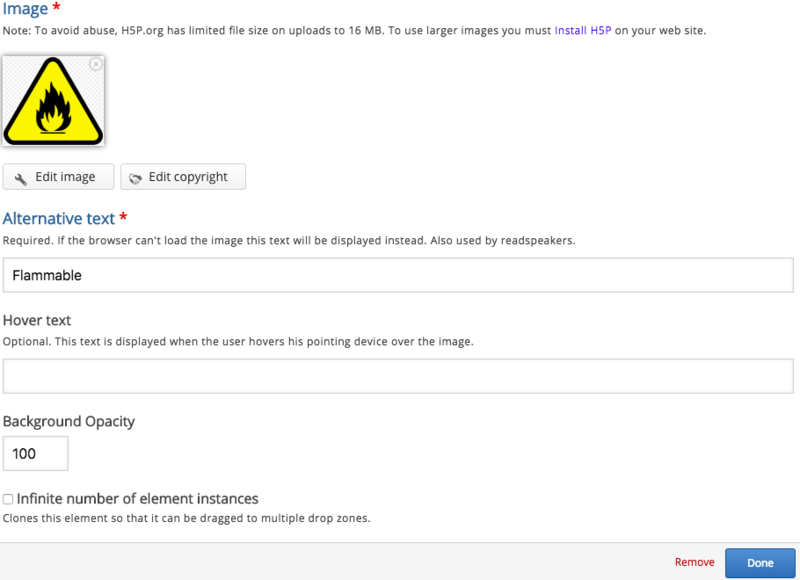 Repeat this step until all images have been uploaded. 4. Add the text draggable and select ALL drop zones (Draggable sample 2). Repeat step until all draggables are created. 5. 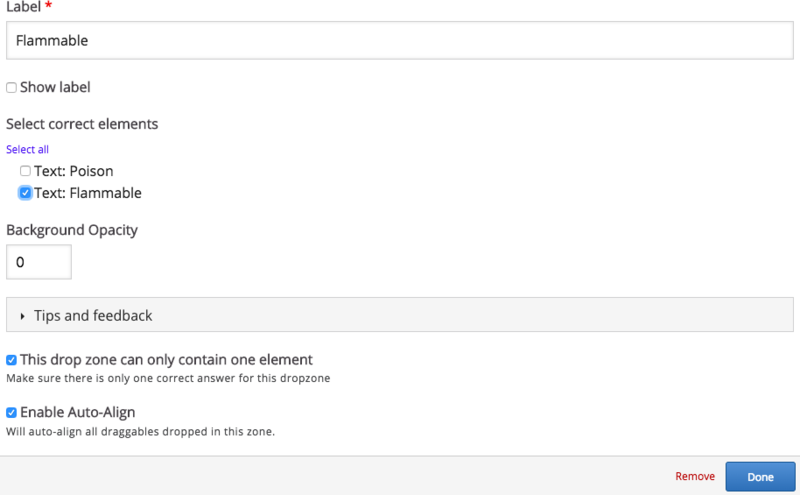 Reopen each dropzone and set which draggable is the correct answer. I hope this helps if you have further questions feel free to post it here. Thanks for this. It's really detailed and helpful. Thanks a million.